Gazing at an auditorium filled with LDS military chaplains and their wives, President Boyd K. Packer recalled a time less than 50 years ago when the entire chaplain corps of The Church of Jesus Christ of Latter-day Saints had dwindled to five or six men. On Tuesday, President Packer, president of the church's Quorum of the Twelve, addressed the final session of the three-day 2011 Chaplains Seminar held at the Church Office Building. "World War II was over and Vietnam was coming on," President Packer recalled. 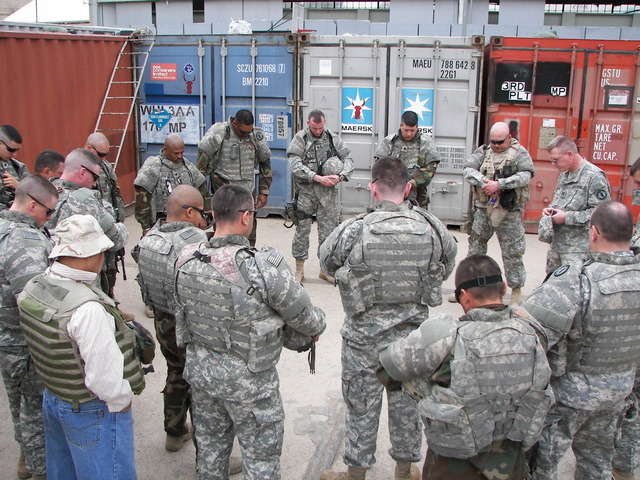 "Our men were retiring after full service, and we had great difficulty in getting replacements because the regulations had been set that a chaplain in order to qualify had to have 90 semester hours in an accredited university seminary."